All sliding gates are automated by a gate motor of the same type. This is essentially a motor housed in a box that rotates a cog that protrudes from the side of the box. The motor housing is mounted against the gate so that the cog meshes with a toothed rack that runs the length of the gate near its base. As the cog turns, it pulls and pushes the gate open or closed along its track. 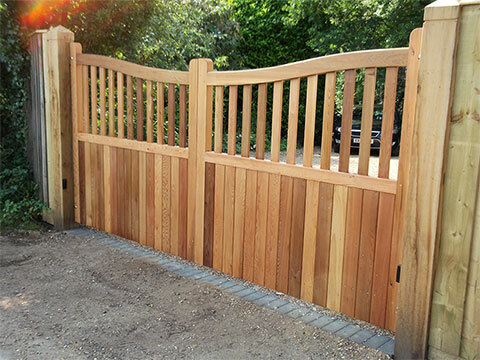 Swing gates are a traditional approach to securing your property. Working the same way a door operates in the traditional sense, swing gates can be bespoke to you and your requirements. Whether its a simple 50/50 split or a 25/75 split to allow for easy access for you when on foot, swing gates are adaptable. Swing gate operators come in various formats (namely Articulated, Ram or Underground) unlike the sliding gate operators. Sliding gate operators by nature only apply to sliding gates. Providing easy access to your home, sliding gates have geared motors that make it very difficult for someone to make forced entry. 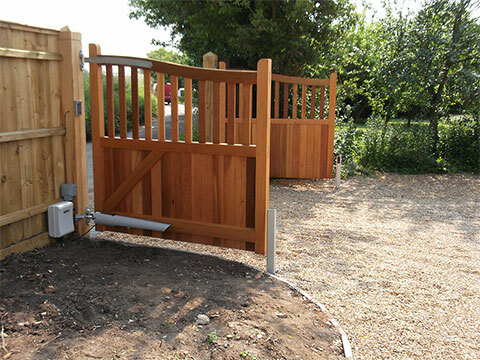 Sliding gates make it very convenient when you are entering or leaving your property. Operating along a runner, sliding gate operators have less moving parts than swing gate operators as you only need one unit for the gate as opposed to one for each swing gate. Sliding gate operators are perfect for those of you that have limited space for swing gates. 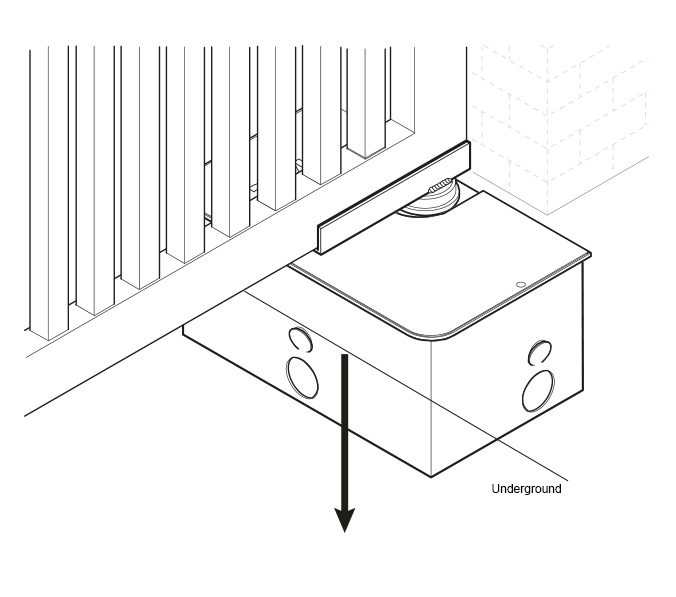 Underground gate motors work in a similar way but are mounted below the surfec of the drive at the base of the gate piers, pillars or posts and the output shaft emerges vertically from the top of the housing in the same vertical plane as the gate hinges. 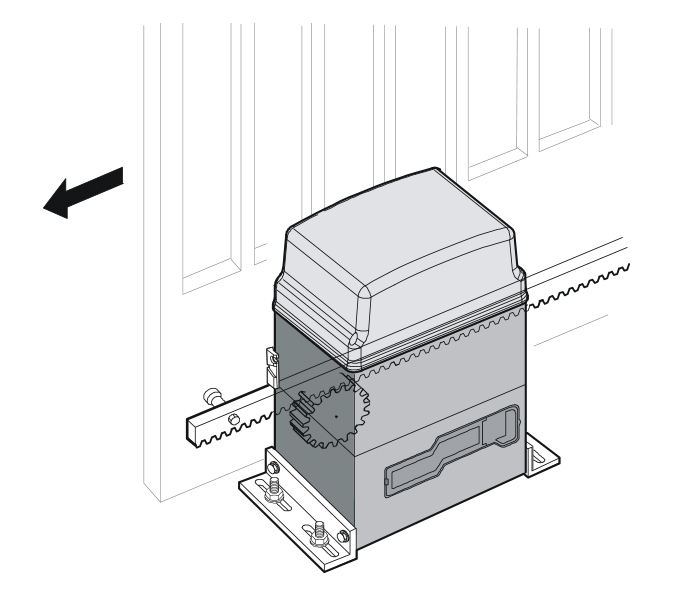 An arm on the output shaft is bolted to the bottom edge of the gate and the gate opens as closed as the output shaft turns. This type of motor requires a lot of force to open and close gates as it is a close as it can be to the gate hinges. 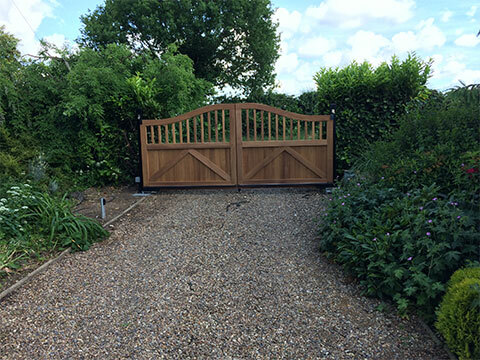 However, this type of gate motor is favoured in the UK as its unobtrusive, near invisible design is very popular. These gate motors are perfect for automating gates as discretely as possible. 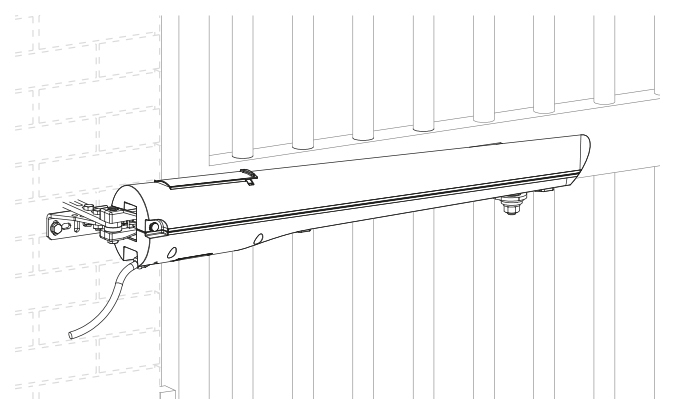 In the case of articulated arm gate motors, the output shaft emerges vertically from the base of the gate moor housing and is fitted to a jointed metal arm mounted perpendicularly to the shaft. The other end is of the arm is mounted on the gate and as the motor turns, it pulls the arm away from the gate which follows it and consequently opens. The reverse happens to close the gate. 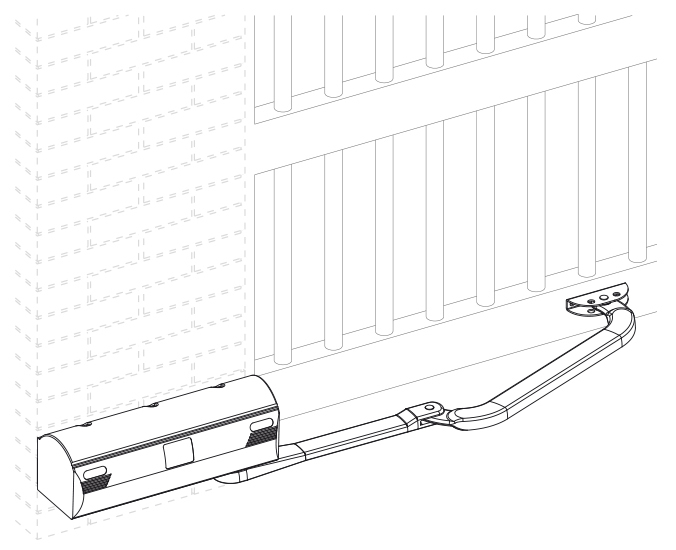 Articulated arm gate motors need room for the arm to move into so are not suitable for gate that open onto walls or where there are restrictions behind the post. However, they are great for installing on wider pillars and where the geometry would be difficult to get spot on. Ram gate motors operate automatic gates by pushing and pulling a ram mounted to the gate. The body of the gate motor is mounted to the relevant gate post and as the ram is pulled into the motor housing, the gate opens and as it is pushed back out, it closes the gate. A similar gate motor to the ram has the gate mounting on a worm screw which rotates and screws the gate mounting away from or towards the motor mounted on the gate post. This again, either pulls the gate open or pushes it closed. Ram gate motors are slim and unobtrusive. They are suited to slimmer pillars but require care when aligning the motor and the gate.